Look, an expensive version of a cheap beer! I’m not sure who Anheuser Busch’s target market for this is. Budweiser has made a living by selling swill to customers who aren’t concerned about taste. Now there is a big push for #TasteIs all of a sudden? If you are a Bud drinker then that’s fine, we all know what your primary motivations are: keeping money and getting drunk. But if you are a discerning customer who wants more from a drink, you know better than to drink Bud. Maybe the push for a more flavored beer is a sign of the times- a healthy reaction by a stingy company. Perhaps this is a harbinger that, 20 years from now, American Pale Lagers won’t dominate 85% of the beer market. But none of that makes Black Crown good, because even without tasting it, I can tell you that its flavor isn’t what the commercials tout. 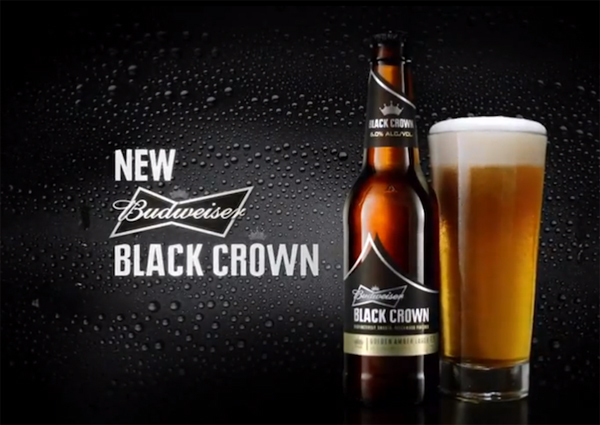 Let’s call this product what it is: in a market where customers are increasingly willing to shell out more money for higher quality beer, Black Crown is a half-assed attempt to grab a couple extra bucks for generic lager with sub-par ingredients. Said another way? #TasteIs secondary to profit.